Forums were the original “social networks” on the web. Prior to their invention we had “bulletin boards” of course and before them a part of the Internet called “newsnet” where people could ask questions, post information and get advice or support. Nowadays it might seem that Facebook or Twitter has superceded this kind of community. But you’d be wrong. Research shows that 28% of people are actively engaged in using online forums – and, importantly, they tend to have high levels of confidence in the material on these forums. In fact, taking part in forums is the second most common activity on the Internet after watching video. Businesses that ignore forums are therefore missing out on a potentially huge audience. 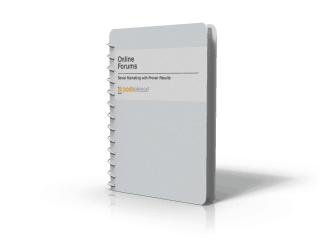 This report provides insight into the world of forums and gives suggestions as to how you might capitalise on them and use forums to further your business success. The report is produced by PostRelease – the specialists in online forum advertising – and is available here with their permission.